For anyone out there, like me, who loves the following things then this sharpener could be for you; cooking and saving money. I am not by any means a serious chef, but I do take some pride in my cooking. Just like anyone else, my cutlery was becoming duller and duller. 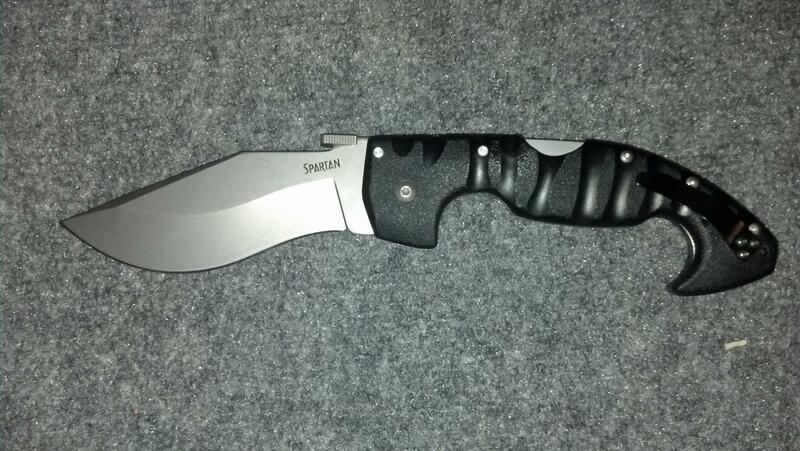 So I had to regularly buy some new, sharp cutlery, such as knives. And after a while, the spending really does add up. I can safely say that thanks to this product, I won’t be on the market for new knives any time soon. 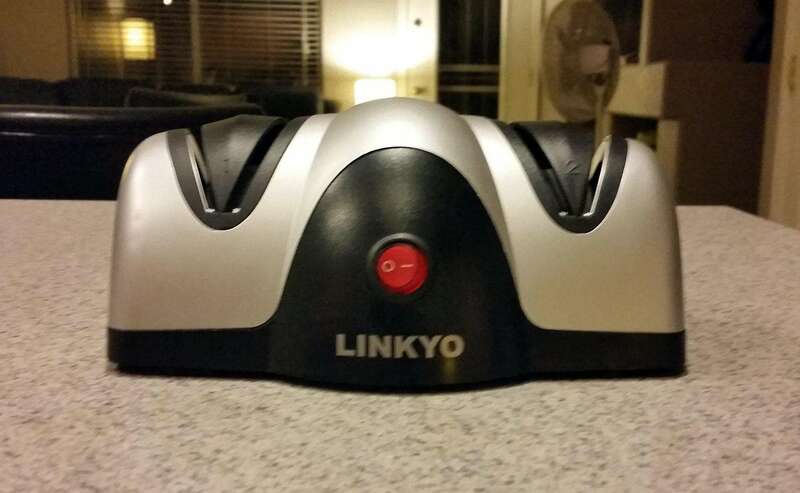 Fortunately, I kept all my dull knives for a scenario like this, I brought them out of the cupboard and back to life with this LINKYO Electric Knife Sharpener. Even my friends were borrowing it! They eventually bought their own, and let me tell you why. 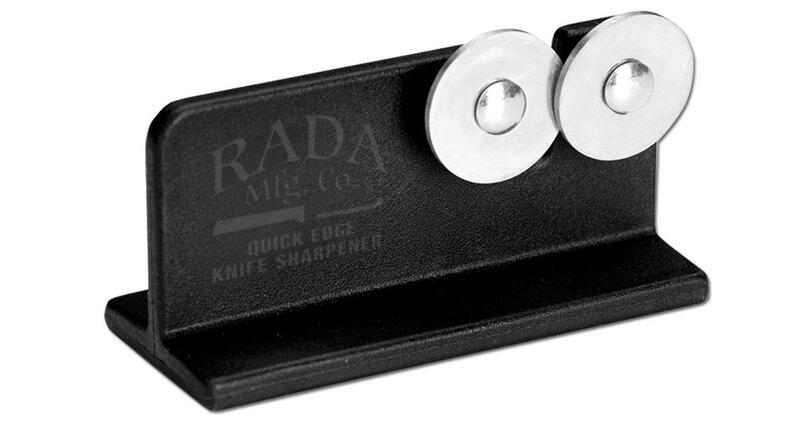 Many first time sharpener buyers will go for a product like this, because it essentially a sharpener for dummies. Dummies meaning anyone with no prior sharpening experience, of course. Stage 1 will reshape the angle of your knife, while stage 2 will hone and polish it. But, what is most impressive is the intelligent no-mistakes-design. Automatic blade positioning guides make it easy for anyone to sharpen knives and avoid mistakes. 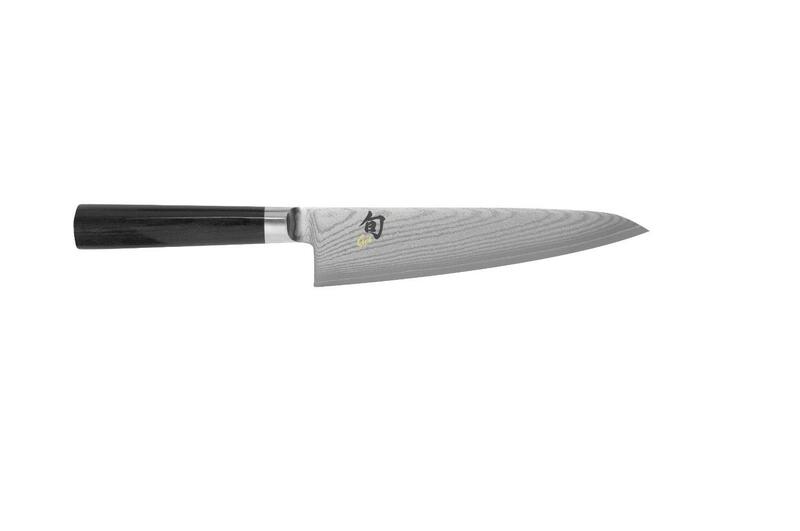 It gives you the perfect angle for sharpening, taking the guess work out of it. When you pull the knife towards yourself, make sure not to apply pressure. The sharpening system will do all the work for you, making the process effortless and quick. 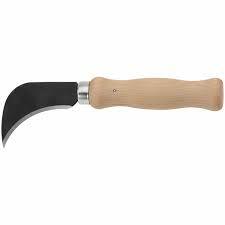 As mentioned the first stage will reshape the angle of your knife and rejuvenate the edge. This stage is more aggressive than stage 2, and is recommended for your damaged and dull knives. 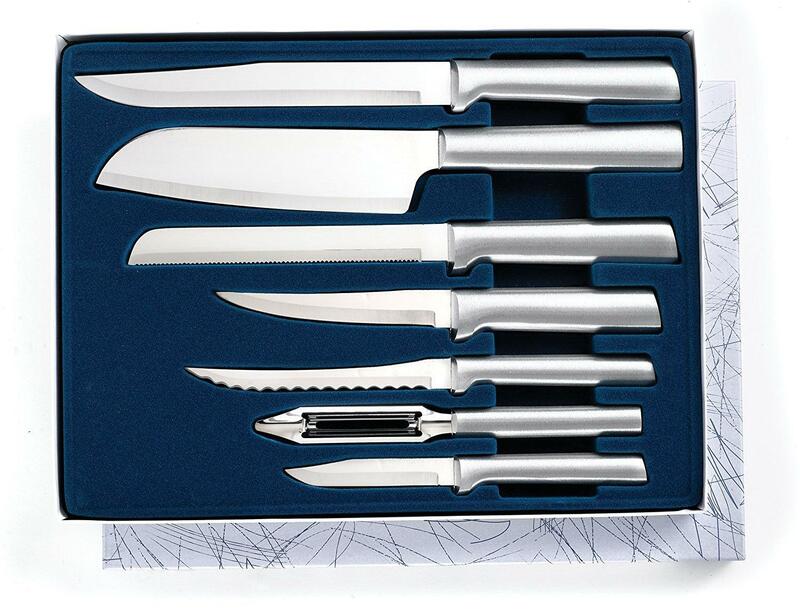 If you have any relatively sharp knives that simply need topping up, use stage 2. 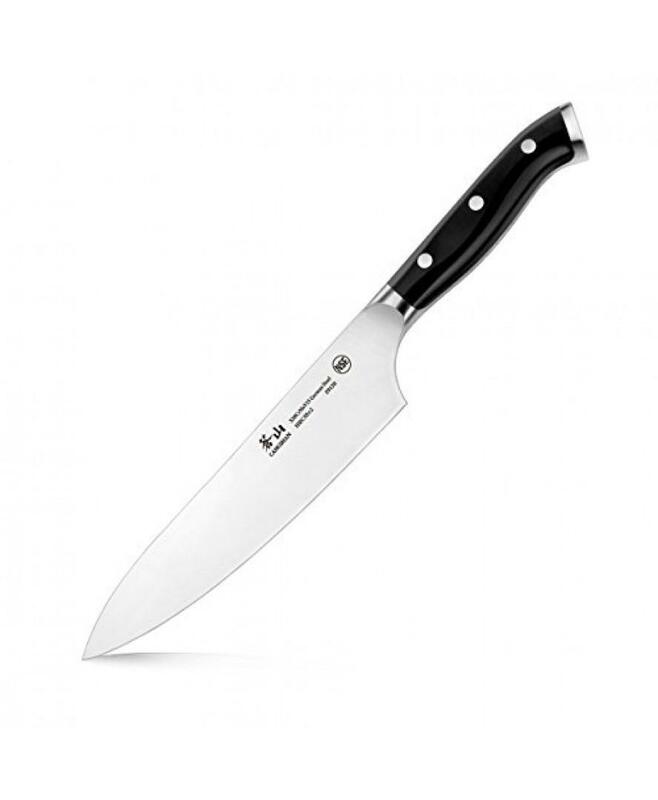 Even though it is for polishing and honing the blade after stage 1, it is also effective on your sharper knives. No one likes a mess, and the team over at LINKYO are no different. That is why they devised this intelligent product that makes cleaning up a simple process. After you use the sharpener, wet a towel and wipe it down. And be sure to that you clean out the receptacles. 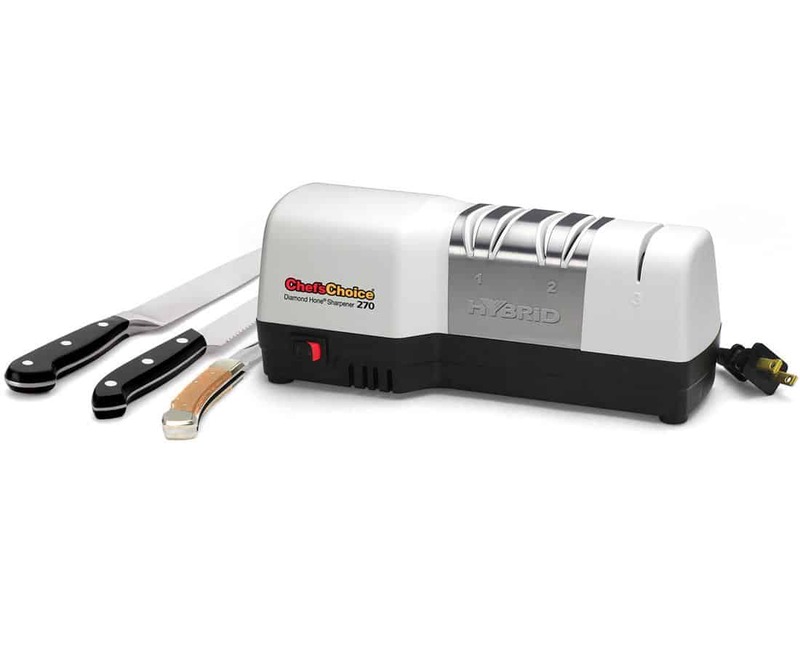 Safety is very important with a product like this, where knives are involved, and LINKYO took this into consideration when designing their Electric Knife Sharpener. The heavy duty non-slip suction cup feet will ensure the sharpener stays sturdy during use. That way you can focus on the task at hand, and sharpen with confidence. 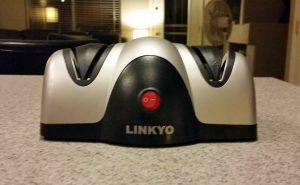 This LINKYO electric knife sharpener is very popular and has already received over 840 customer reviews. Approximately 90% of customers that left a review were extremely satisfied with their purchase. Hence, the sharpener has currently earned a 4.5 out of 5 stars. Users are especially happy that the sharpener can bring all of their dull knives back into a sharp, polished condition. In summary this product is a great purchase for any cook. What’s more is that it comes at a very affordable price, you might even say it is a bargain. But the price shouldn’t put people off, don’t assume that it is a cheap, flimsy product. If you have read the features and it sounds like it would be good for your knives, then I recommend that you buy this product. It is unlikely that you will be let down!